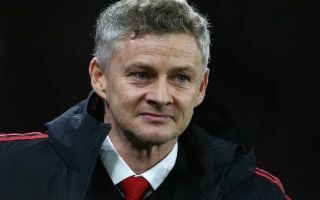 Ole Gunnar Solskjaer has been a revelation for Manchester United, the Norwegian has transformed things at the club since taking charge at the end of December. United extended their unbeaten run under Solskjaer to 11 games following their 3-0 victory over relegation candidates Fulham, earlier today. Despite giving Fulham some glorious opportunities early on, the Red Devils quickly made the Cottagers rue their missed chances when Paul Pogba and Anthony Martial scored in quick succession. It’s not surprising to see that a team with the baby-faced assassin at their helms is demonstrating such a killer instinct. Solskjaer has had a record-breaking start to life as United boss, and it seems that the Norwegian is inspiring his team to achieve things that they haven’t in such a long time – almost every week.
? …for the first time in EXACTLY 8 years. Solskjaer is so far proving the doubters wrong and he could also do what many thought was impossible, by leading United to a place in the top four and securing their Champions League qualification for next season.